- 9 Megapixel images up to 15 fps. - A fisheye lens control function realizes intelligible screen operation intuitively. - Wide dynamic range and ABS (Adaptive Black Stretch) technologies deliver wider dynamic range. - Built-in ABF enables automatic focus adjustment for sharp image both in color and B/W modes, and corrects the focus shift that caused by temperature difference. 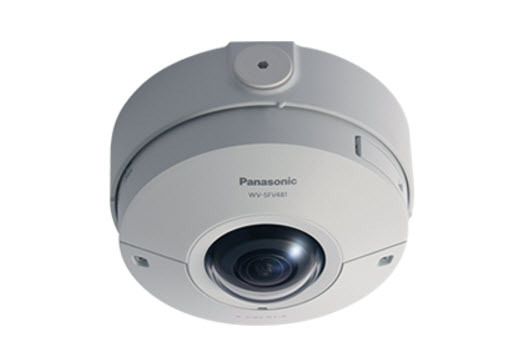 You can install the camera even in the environment having drastic changes in temperature. - Can be added new intelligent extension software (Extension software) in addition to built- in VMD (Video Motion Detection), alarm function.